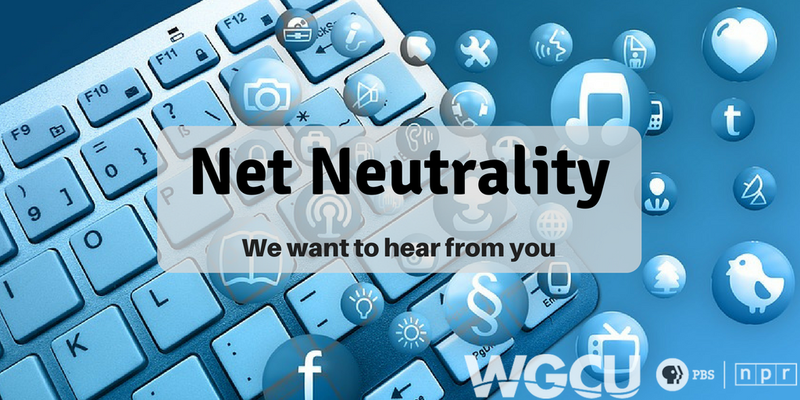 The Federal Communications Commission is set to vote next week to end rules governing Net Neutrality that were put into place under the Obama Administration. Net Neutrality is the principle that Internet service providers should enable access to all content and applications regardless of the source, and without favoring or blocking particular products or websites. Critics call this an unprecedented giveaway to internet providers. Supporters say this will end big government’s burdensome regulations on internet providers. Join us as we try to sort out the cases for, and against, Net Neutrality. We're joined by Ryan Singel, Media and Strategy Fellow at the Stanford Law School Center for Internet and Society; Dr. Janusz Zalewski, Professor of Computer Science and Software Engineering at Florida Gulf Coast University; and U.S. Representative Charlie Crist, a democrat who represents Florida's 13th congressional district.